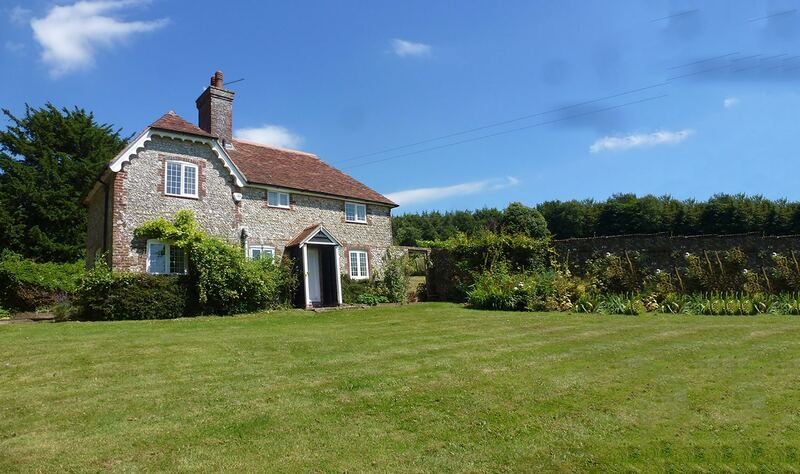 The Country House Company has been appointed to sell this single storey home in the centre of the highly sought after village of Hambledon. 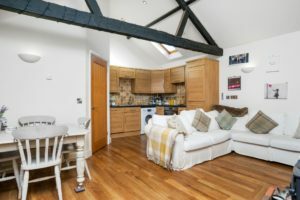 5 Walnut Tree Cottages offers a vaulted sitting/dining room, open plan kitchen which also has a vaulted ceiling, 2 bedrooms, light bathroom and outside a patio garden, open fronted garage and further parking space. The guide price is £299,500. 5 is particularly unique because of its central village location, peaceful setting, single storey accommodation and being almost entirely detached. These attributes rarely come together and at this price point. The vaulted sitting room is striking and there are some attractive beams here too. 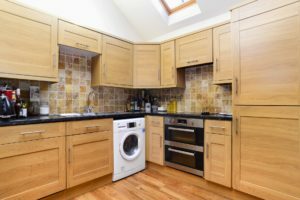 The kitchen, which is open plan, interacts really well with the sitting room and accordingly makes for a very sociable space. A skylight in the bathroom makes this room very light. The main bedroom is generously proportioned and the second could either be a single bedroom or home office to suit. 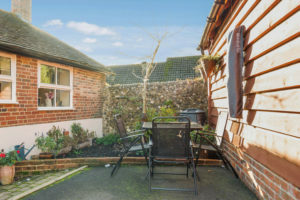 There is a patio garden with raised bed which is wonderfully secluded and an open fronted garage which is rare for a property of this profile. There is space to park a further car in the courtyard. There are two storage shed areas enabling one to store a significant amount of items. 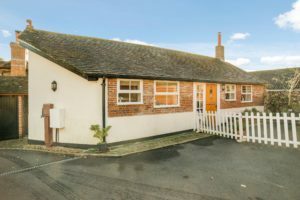 Hambledon is highly regarded and picturesque with a shop moments from the property, together with a pub, primary school and further shop at the other end of the village. The surrounding undulating countryside provides numerous recreational opportunities including walking, cycling and riding.